Enhancing the possibilities of electric cars, Vauxhall has officially launched the range extending Vauxhall Ampera with the award winning vehicle available to purchase in the UK now. Touted as the “first real-world solution to electric car ownership,” the Ampera, which has been crowned the European Car of the Year for 2012, is set to bring electric-based driving to the masses with the range extending petrol motor acting as a power station of sorts for the onboard 16kWh lithium-ion battery pack. Far from a hybrid which uses a combustion engine to turn the wheels, the Ampera runs off electricity 100 per cent of the time with the charged 25-50 miles battery-powered electric drive further bolstered by the electricity generating engine which takes the car's full low emission range without fuelling to a massive 360 miles. Capable of achieving 0-60mph in an impressive 8.7 seconds the Ampera is limited to a top speed of 100mph. With the ability to achieve a staggering 235.4mpg the four seat, five door vehicle has a combined tailpipe emission of just 27g of CO2 per KM. As trick on the inside as it is on the propulsion front, the Ampera sees Vauxhall fit a DAB radio alongside a 7-inch colour touchscreen display that offers up a selection of travel, GPS and driving economy parameters. The full range of Amperas come with cruise control and alloy wheels. Following yesterday's May 1st Vauxhall Ampera UK release date, the car which removes range anxiety from electric driving is available from 24 specialist Vauxhall dealers across the UK. With a selection of models and optional extras available, the basic Vauxhall Ampera Positiv is available for just £32,250. A lower specced entry level model is set to be introduced later this year with a sub £30,000 price tag. 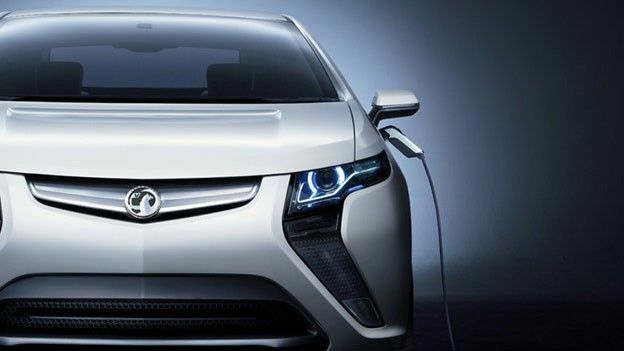 Are you impressed by the Vauxhall Ampera as a life practical adaptation of the standard electric car? Let us know via the T3 Twitter and Facebook feeds.